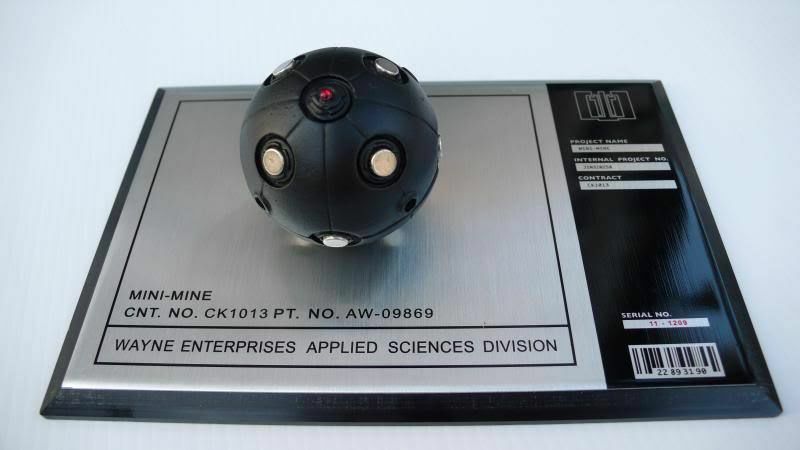 Here’s a life-size replica of the mini-mine (aka the “Bat Bomb”) as featured in Christopher Nolan’s Batman Begins. This is a replica of the coolest bat bomb to be featured on screen. 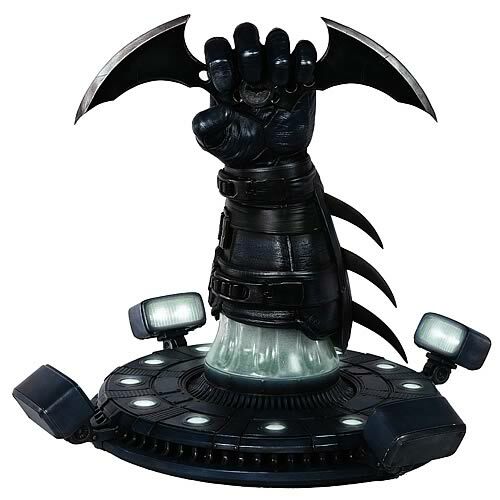 There was a version in Batman and Robin but they were not nearly as compact and nicely designed as the Batman Begins version (which got ranked 12th in Complex’s Top 50 Coolest Batman Gadgets). The only drawback with this item is that the magnets need to be glued on and you have to do it yourself. Nothing a cheap tube of superglue and 15 minutes of your time won’t resolve. This is a resin replica of the Batarang as seen in Tim Burton’s 1989 Batman. Painted black with silver tips. I have on further information on this, but it looks pretty sweet in the image above. Introducing Master Replicas’ new limited edition life-size Batarang prop replica based on the Batman: Arkham City video game. With a mere 750 of these becoming available world wide, there is absolutely no doubt in my mind that this going to become a major collector’s piece. 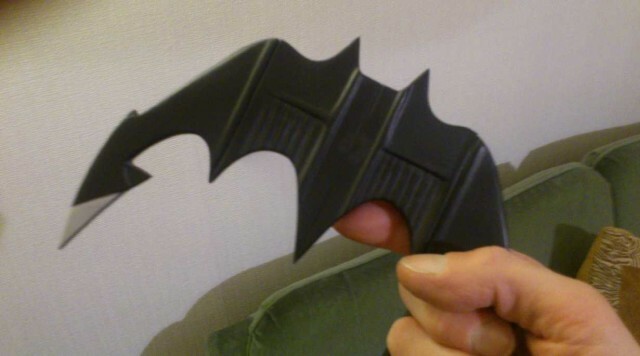 Full-scale prop replica of Batman’s Batarang from Arkham City. Measures 22-inches tall and features working LED effects! Masterfully sculpted, hand finished, and hand painted. Limited edition of just 750 pieces! Entertainment Earth have these for $749.99, which is the best retail price I’ve found, however, one seller on Ebay is taking pre-orders at $725 (for only 2 lucky buyers), which is the cheapest price you’ll find (I’ve seen others get as high as $1000). The BATMAN RETURNS Speargun (from Hollywood Collectors Gallery & Toynami) is a Limited Edition prop replica of only 500 pieces worldwide, and right now they’re running out. 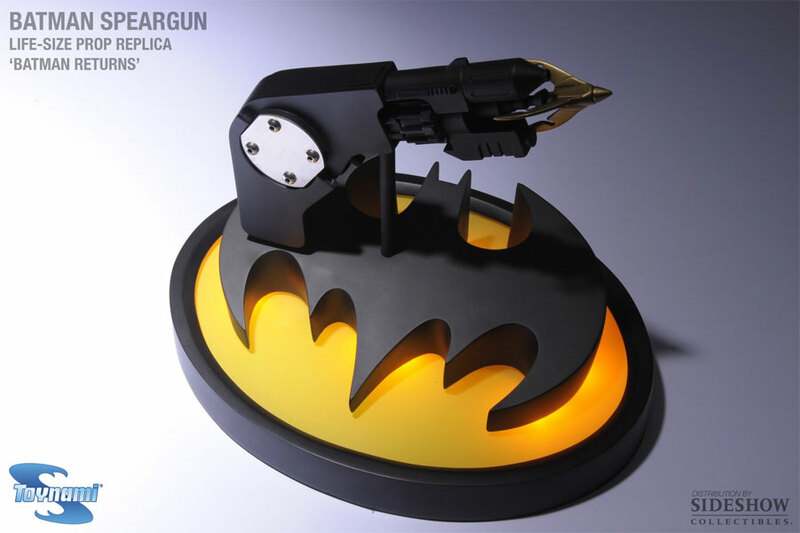 Modeled as an exact reproduction of the Batman Speargun in Tim Burton’s Batman Returns, it’s design features a folding handle and a light-up base. Unfortunately the Speargun is not removable from the base but it will still look cool in your collection. 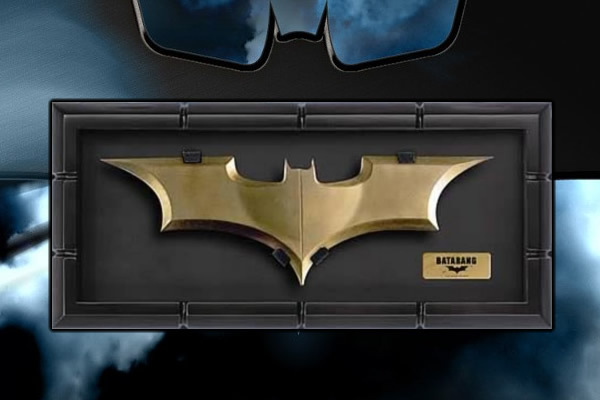 Diamond Select’s limited edition (of 1,500) prop replica of the Batarang from BATMAN BEGINS doesn’t look that great to me, though that could be thanks to their absolutely atrocious promotional image that makes it look warped and all over the place in design. It’s marketed as “an authentic, life-sized movie replica” that comes “in an elegant black gift box with gold-foil stamping” and includes “a Certificate of Authenticity”. Packaged: Measures 2″ x 11.5″ x 5.75″. If you’re a serious Batman fan then you might be keen to get this, but I’m thinking this is only for serious fans who just have to have it all. 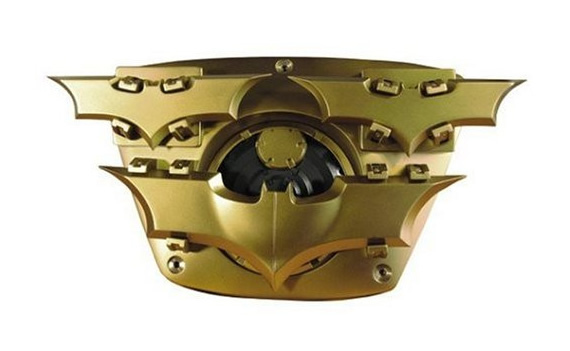 …the item is a bit of a disappointment, it’s kinda small, and none of the batarangs are detachable which though not necessary, would be a nice little touch. The ends of the wings of the two small batarangs are a little uneven. It’s good but not great. Check out this high grade replica of the Batarang from Christopher Nolan’s THE DARK KNIGHT. Crafted by The Noble Collection based on the design in the film, this officially licensed replica measures 9-inches wide (including the display). Looks pretty cool but I have to say no matter how I search I can’t seem to find a lot of information on what this is actually made out of or just how “high grade” it really is. A resin replica of the parallel universe dagger! An example of the world of 3D printed replica swords! Own one just like Worf did in Star Trek: The Next Generation. Watch the Zenith Blade get forged, then drool and cry that you can't have it. Chance to get number 67 of 510 still new and in the box. Rare chance to snap up number #38 of 250 (these are hard to find!). Watch a real-life forging of Hit Girls detachable sword and drool. One of a kind, screen used prop is available for sale. A rare chance to get one of these discontinued replicas. Rare, hard to find replicas from Factory X's "Bone Dagger Series"